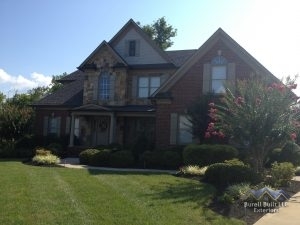 Burell Built Exteriors is proud to be your one-stop-solution for all your home improvement projects. Count on our team to design, plan, and professionally execute a high-quality roof for your commercial property. When disaster strikes, you can count on us 24/7 for emergency support and restoration services. 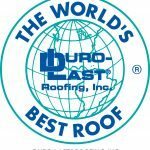 Welcome to Burell Built Roofing! We are proud to provide commercial and residential roofing and exterior services to Knoxville, TN, Chattanooga, TN, and surrounding areas. We are a family-owned and operated company, and have been honored to serve our Tennessee neighbors since 2004. With over 20 years of experience and a collective team of the best roofers and exterior specialists in the area, we stand behind every single project that we do. In fact, we take that promise so seriously that we offer industry-leading warranties on all of our work. Not only do you get the best products and manufacturers with Burell Built Exteriors, but you get manufacturer-certified installers with attention to detail that ensures your home or commercial property is taken care of as though it’s our own. Call us today to schedule a free estimate for your next project, and meet our team of Knoxville or Chattanooga area roofing contractors who are ready to serve you! Whether you’re looking to repair or replace your existing roof, overseeing new construction and need professional roofing contractors, or you’re dealing with the aftermath of a storm and not sure where to start, we can help! We’re available 24-hours a day, 365 days a year for you. Call us in Knoxville, TN at (865) 385-6926, or call (423) 702-4042 for our Chattanooga, TN location. We do all this and much more, so count on us to be your one-stop-shop for home exterior and professional roofing needs! Contact us and we’ll quickly jump in to handle the fine details of your project. Visit our galleries to see the Burell Built Exteriors team in action, and check out our customer reviews! Why Choose Certified Roofing Contractors? Installation errors account for 47% of all roof failures. Even the best products, made by the best manufacturers who boast premium warranties, will eventually fail and wear before their expected lifespan due to shoddy work. In fact, did you know that most roofing manufacturers will altogether void their warranty if the roof was not properly built and maintained? This is why trusting the team at Burell Built Exteriors will save you much headache and unnecessary cost in the long-run. The roof is a critical component to your home or commercial property. Know that you’re getting the security of a strong, solid roof over your head by calling our roofing contractors for any repairs, maintenance, or replacement work that you need. And because we also handle large scale commercial projects and new builds, we know that no detail is too small to overlook. 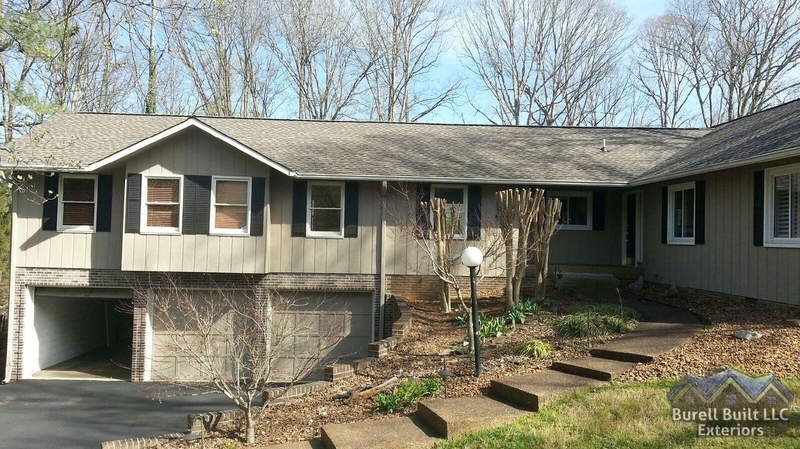 Call us now to meet your Knoxville and Chattanooga, TN roofing contractors! There are many aspects of residential roofing that most homeowners don’t necessarily know (or want to know), and we simply depend on our home roof to keep our family safe and secure. By making a single phone call to Burell Built Exteriors, you can reach a team of manufacturer-certified, professional roofing contractors who will quickly step in to address whatever questions or concerns you have regarding your home’s exterior. We’ll explain all available options–from materials for roof replacement, siding styles to increase curb appeal, or restoration services when you’ve been hit by a major storm–so you are in the driver’s seat when it comes to making the key decisions for your home investment. Financing available as low as $80 per month to qualified customers. 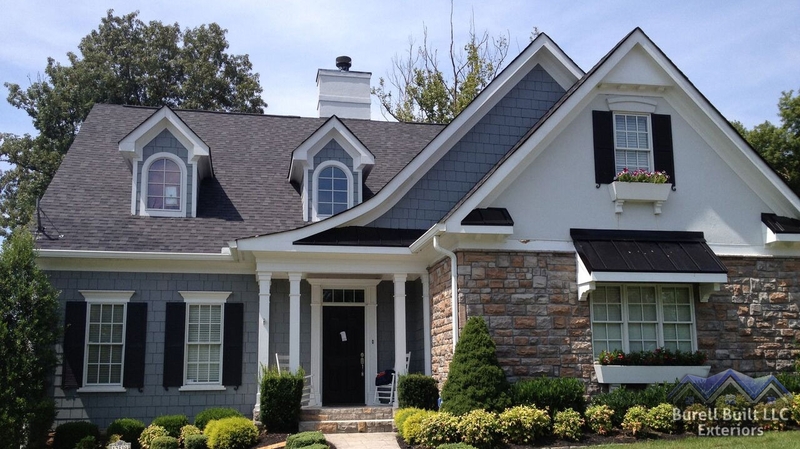 To learn more about roofing systems and exterior services, call us to schedule a free estimate! 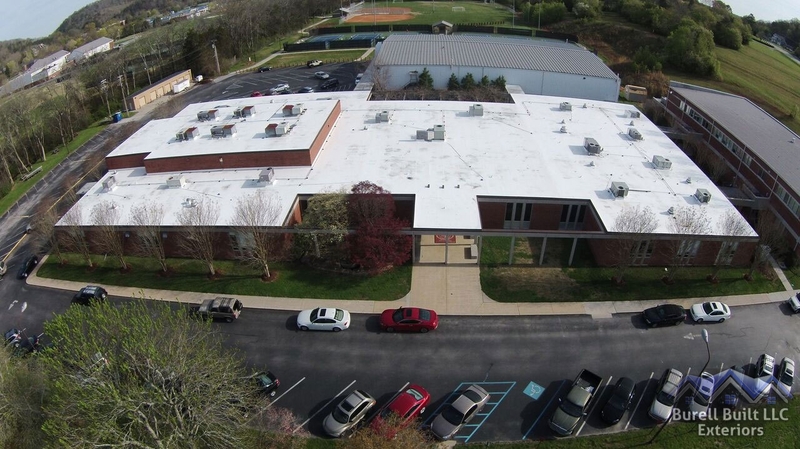 We understand the complexities and large scale considerations of commercial roofing projects. 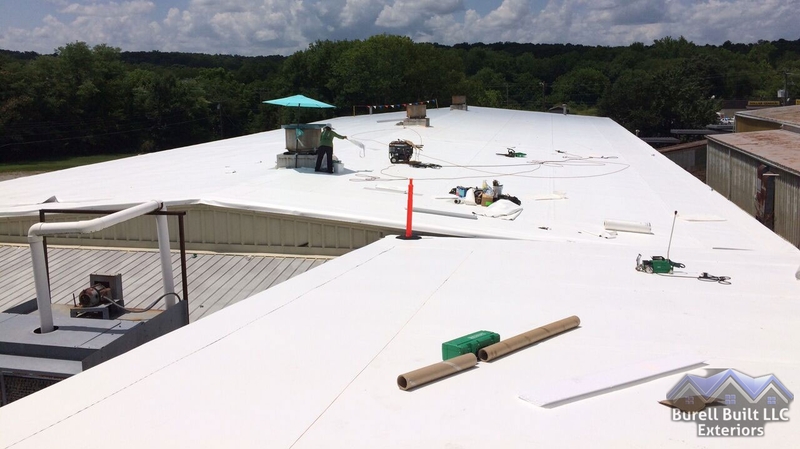 We’ve worked with major clients such as Taco Bell, Burger King, and Krystal, so you can trust our certified, highly-skilled team at Burell Built Exteriors to accurately design, plan, bid, and execute your commercial roofing project in Knoxville, TN or Chattanooga, TN. Our roofing contractors have been trained and certified to work with the industry-leading manufacturers and products. We bring to every job over 20 years of experience and an extensive selection of options to best suit every customer and property. Let us work with you to plan for a roof that will last for years and years to come! Contact us to discuss your commercial roofing project. Free estimates! Emergencies never seem to occur during business hours, which is why we’re available 24/7 to take your calls! Major storms and unexpected damage can leave you wondering where to start and what to do. 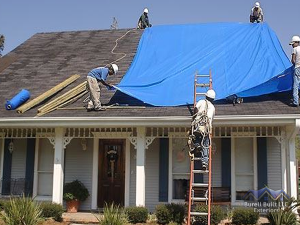 Call us right away and we will quickly respond with a team of professional roofers and exterior specialists who can asses the most immediate damage and help mitigate further issues for your home or commercial property. Acting quickly can make all the difference in containing damage, be it an active leak in your roof, torn vinyl siding, or broken windows. Whatever the cause, we’ve got you covered! Don’t hesitate to call us for emergency roofing and restoration services. The damage unfortunately won’t fix itself, but we will walk you through every step of the insurance claims process, and can help you work with your insurance adjuster to restore your home or business as quickly as possible. We treat all of our customers with integrity and respect, so you can consider us an advocate for you and your property. There are people who will take advantage of those who have sustained severe storm damage or experienced a fire or flood, and these individuals typically arrive from out of town just for the fast cash. But we are your neighbors. 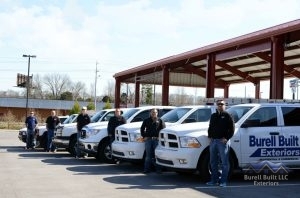 We’ve been proudly serving you in Knoxville and Chattanooga since 2004. We stand behind our work, and we’re not going to take your money and run. Call us at (865) 385-6926 in Knoxville or (423) 702-4042 in Chattanooga for restoration services or emergency roofing situations. We’ll be there for you! Updated on May 16, 2017 at 4:19 pm by Burell Built Exteriors.